Custom Holiday Cards ad receive 60% off holiday cards! Order your Custom Holiday Cards ad receive 60% off holiday cards! use code : SHOPCARDS at checkout !! Tactile hand-painted textures, splashes of bright color – emerald, fuchsia, garnet and more. Mix with bold, interesting typography to bring a modern flavor to your festivities. Custom Glass Hexagon Ornament for $3.99 !!! Score this , Order your Custom Glass Hexagon Ornament for $3.99 !!! use code : SIX at checkout !! Custom 8×11 Wall Calendar for $3.99 !!! Score a Order your Custom 8×11 Wall Calendar for $3.99 !!! use code : HAPPY2019 at checkout !! Custom Phone Case from Vistaprint for $9.99 + Free Economy Shipping !!! Hot Deal !! Order your Custom Phone Case from Vistaprint for $9.99 + Free Economy Shipping !!! use code : VPCASE at checkout !! Custom Mini Wall Calendar from Vistaprint for $6.99 + Free Economy Shipping !!! Order your Custom Mini Wall Calendar from Vistaprint for $6.99 + Free Economy Shipping !!! use code : VPCALENDAR at checkout !! Custom 11×14 Canvas for only $9.99 !! Hurry to Purchase a Custom 11×14 Canvas for only $9.99 from York Photo !!! Use code : 999CNV at checkout !!! frost-free puffer jacket for just $20 !!!! reg price $65 !!! Today Only !!! Score frost-free puffer jacket for just $20 !!!! reg price $65 !!! available for men, women & kids !! Xbox LIVE 3 Month Gold Membership US/CANADA (Digital Code) for only $24.99 !!! Hot Deal you can grab on , Xbox LIVE 3 Month Gold Membership US/CANADA (Digital Code) for only $24.99 !!! use code : EMCEPRU48 at checkout !! This makes a great gift idea !! Halloween is just around the corner !! This means lots of yummy and delicious sweet treats ad spooky baked goods . One of my Favorite halloween sweet is caramel candy , So delicious !! In order to keep my teeth not only healthy but also see all the sticky Carmel out of my teeth , i only use Crest 3D White Toothpaste . I highly recommend the crest line to keep your teeth in the best shape possible !! Dont let all that sugar and sticky candy trick your teeth from being , healthy , bright and strong !! 86% of parents eat candy that was given to their child while trick-or-treating. Most people (73%) purposefully buy more Halloween candy than they needed for trick-or-treaters so they can eat the extra. Hurry this deal is back !!! Purchase a Custom Halloween Grocery Tote for only $.99 from York Photo !!! use code : TREAT at checkout !!! 4×6 Magnet from York Photo fr only $1.99 + FREE Shipping !!! Order your custom 4×6 Magnet from York Photo fr only $1.99 + FREE Shipping !!! use code : MAG at checkout !! Disney Premier Pack delivered right to your door !!! First pack only $9.95 !!! Disney fans !!! Sign up and receive the Disney Premier Pack delivered right to your door !!! First pack only $9.95 !!! Here’s how it works: after the Pride Lands welcome package, receive another Disney Premiere Pack curated with the most beloved Disney characters and tales each month. Each future pack is only $19.99 plus $5.99 shipping and handling. You’ll have the opportunity to view your future shipments and choose an alternative package every month. Cancel or skip anytime for any reason. Custom Pillowcase from York Photo for $3.99 !!! This Popular deal is Back !!! Order Your Custom Pillowcase from York Photo for $3.99 !!! use code : DREAMS at checkout !! 11×14 Single Image Banner for $1 !!! Head on over to grab a deal to Order your 11×14 Single Image Banner for $1 !!! use code : DORM at checkout !! Our prints and posters are printed on high-quality, long-lasting paper that resists fading for generations. We know silver halide prints provide the best quality image and our prints deliver vivid color reproduction, more natural skin tones, exceptional sharpness and unsurpassed color stability. Custom Reusable Shopping Bag from York Photo for $.99 !!! 8X11 Custom Hardcover Book for only $9.99 !!!! What a Deal !!!!! Order your 8X11 Custom Hardcover Book for only $9.99 !!!! use code : DADGIFT at checkout !!! Custom Paperweight from York Photo for only $3.99 !!!! How cute is this, Order your Custom Paperweight from York Photo for only $3.99 !!!! use code : FORDAD at checkout !!! Beautify your workspace with a custom acrylic paperweight! This crystal clear, premium acrylic won’t yellow over time and uses tiny neodymium magnets to adhere an aluminum plate imprinted with your photo or design to the bottom. Choose from one of our designs or use a favorite photo. Eddie Bauer Stowaway Packable Daypack for only $15 !!! reg price $30!! Great deal for this Eddie Bauer Stowaway Packable Daypack for only $15 !!!! reg price $30!! Multiple colors available ! Use code : TRIBUTE at checkout !! Built for the comfort and convenience of ultralight travel, this pack is made of durable ripstop polyester. It offers a roomy 20 liters of cargo storage, and when it’s not needed, you can stuff it down into the smaller of the front zip pockets. Custom 8X10 Gallery Wrapped Canvas from York Photo for $4.99 !!! Hot deal you can score on a , Order your Custom 8X10 Gallery Wrapped Canvas from York Photo for $4.99 !!! use code : YOUCAN at checkout !! Adorn your walls with art made from your favorite photos. This 8×10″ wood frame is gallery wrapped in high quality satin finish canvas that is printed with your photo image. Custom Shopping Bag from York Photo for $1 !!!! My Favorite Deal !!!! Order your Custom Shopping Bag from York Photo for $1 !!!! use code : SHOPBAG at checkout !!!! Crock-Pot® Swing and Serve™ Slow Cooker for $59.99 + FREE shipping !!!! reg price $110 !!! Here is a great deal you can get on this , Crock-Pot® Swing and Serve™ Slow Cooker for $59.99 + FREE shipping !!!! reg price $110 !!! Introducing a new slow cooker by the Crock-Pot® brand that will allow you to entertain with ease! No more counter-tops cluttered with multiple cooking appliances, warming trays and power cords. 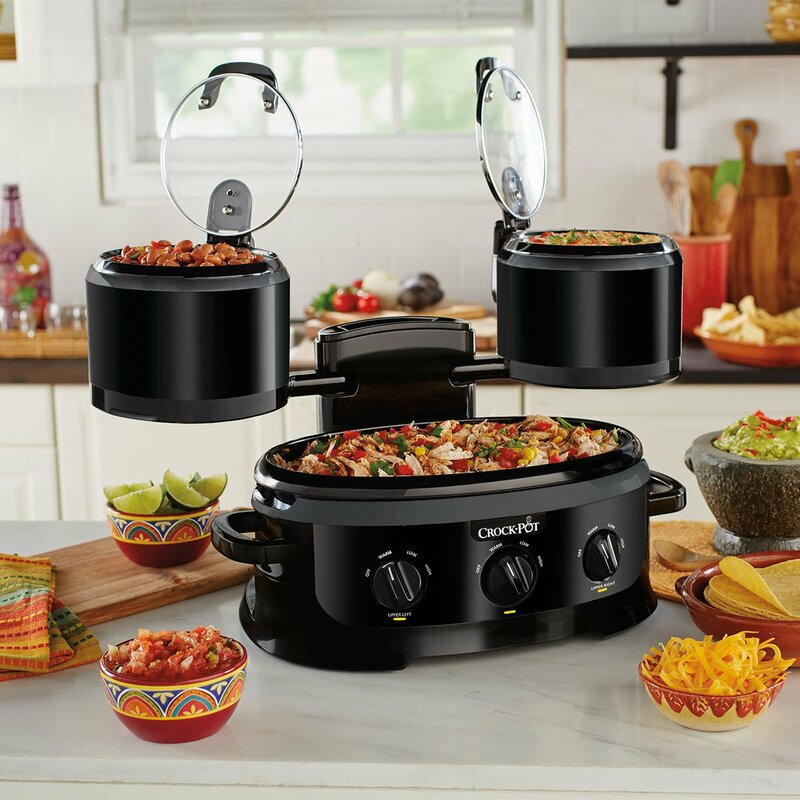 Now you can cook and serve all of your party foods, appetizers and dips from one appliance, and leave plenty of room to spare on your counter for party décor and serveware. Smashbox , FULL EXPOSURE PALETTE thats was low as $26 + FREE shipping !!!! reg price $52 !!! Head on over to score a deal for this Smashbox , FULL EXPOSURE PALETTE thats was low as $26 + FREE shipping !!!! reg price $52 !!! use code : EASYEYES at checkout !! ! deal valid today only !!! This neutral eye shadow palette has a versatile range of velvety smooth mattes and long-wearing shimmers. Create neutral to megawatt eye looks that stun on all skin tones. FABFITFUN !! Sign Up and receive $200 value make up for $39.99 !!!! Love trying New products ?? hurry on over to FABFITFUN !!!! Sign Up and receive $200 value make up for $39.99 !!!! use code : BLING at checkout !!! Each season choose products & add-ons you want in your box. Or choose to keep it a surprise. We promise you’ll love it either way! MIA 1 FACIAL CLEANSING BRUSH is as low as $64.50 + FREE shipping !!! Reg price $129!!!! While Supplies last !!! The MIA 1 FACIAL CLEANSING BRUSH is as low as $64.50 + FREE shipping !!! Reg price $129!!!! use code : 50PERCENT at checkout !!! Box includes (1) Mia 1 Facial Cleansing Brush and (1) Radiance brush Head. ADIDAS ORIGINALS EQT SUPPORT 93/17 BOOST – MEN’S for as low as $67.99 + FREE shipping !!! reg price $180!! Scoop up a pair of ADIDAS ORIGINALS EQT SUPPORT 93/17 BOOST – MEN’S for as low as $67.99 + FREE shipping !!! reg price $180!! use code : LKS18269 at checkout !!! Step into futuristic style in these men’s adidas Originals Eqt Support 93/17. One-of-a-kind yarn embroidery combines with a streamlined design for a trendy look that can be dressed up or down for any occasion. Kids Snow Boots for as low as $29.99 !!! Reg price $80!!! You can score a deal on , Kids Snow Boots for as low as $29.99 !!! Reg price $80!!! use code : BOOTS at checkout !!! Pin : 7852 !!! multiple options available !!! Everything you want in a boot — it will keep them warm and dry in the snow. It starts with 400-gram Thermolite® insulation that’s warm but remarkably light. The rubber bottom fends off snow and slush easily. Custom 60×80 Fleece Blanket for $24.99 !!!! Order Your Custom 60×80 Fleece Blanket for $24.99 !!!! Use code : KEEPWARM at checkout !!! Add your favorite personal pictures !! Bigger is better with our new custom soft fleece photo blanket. Use high-resolution images and we will print it on the front of the blanket in vivid color. Up to 55% off Ugg Boots & Shoes !! Save Up to 55% on Uggs boots and shoes Today !! Choose from Many boots, slippers and more for Men, Women, and Kids ! !Get Free shipping on orders over $100 !! Hurry Shoes are selling fast!!! Cannon PowerShot G9 X Silver for $269.99 + FREE shipping !!! reg price $530 !! What a deal you can get for the , Cannon PowerShot G9 X Silver for $269.99 + FREE shipping !!! reg price $530 !! use code : GFLASHDEAL at checkout !! Impressive image quality. Stunning videos. A camera that’s slim and comfortable. The PowerShot G9 X camera is all this and more, featuring a 20.2 Megapixel*, 1.0-inch High-Sensitivity CMOS sensor, Canon’s powerful DIGIC 6 Image Processor and a fast, f/2.0-4.9 lens that helps you capture inspiring images – even in low light – with detail and color to match. 4×6 Custom Softcover Book, Mouse Pad or Desk Calendar for $1.99 !!!! Receive 4×6 Custom Softcover Book, Mouse Pad or Desk Calendar for $1.99 !!!! use code PICKEM at checkout !!! Columbia CHILDREN’S POWDERBUG™ PLUS II SNOW BOOT for $27.92 + FREE shipping !! reg price $55 !!! Hurry to score a pair of Columbia CHILDREN’S POWDERBUG™ PLUS II SNOW BOOT for $27.92 + FREE shipping !! reg price $55 !!! 4 colors available !!! use code : COLNEWYEAR60 at checkout !! Warm, waterproof and durable, these felt-lined, slip-on-and-off winter boots are ideal for playing outside in the morning after a night of heavy snow, indeed, they are just the boots to get kids out the door in the winter.